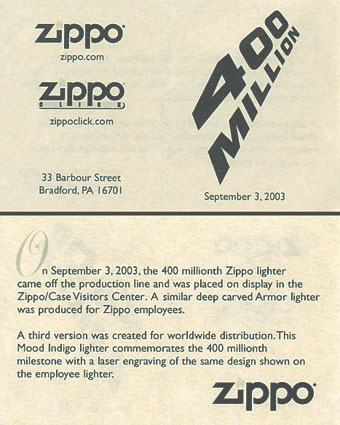 Zippo employees marked a major milestone soon after reporting to work the morning of September 3rd, when the 400 millionth windproof lighter rolls off the production line. 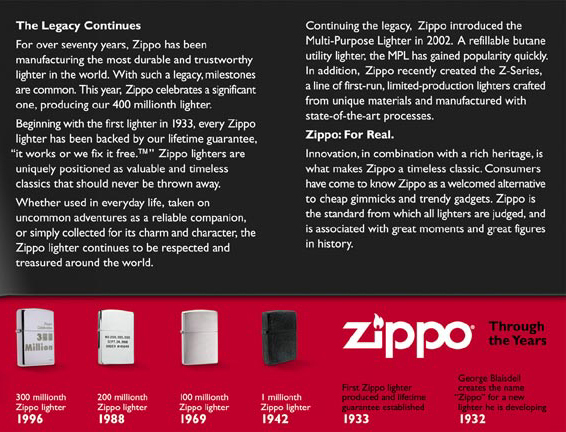 Zippo officials predicted the milestone lighter would be stamped out during a run of Armor lighters, distinguished by a case about 1.5 times as thick as a standard case, and authenticated by a distinctive Armor bottom stamp. 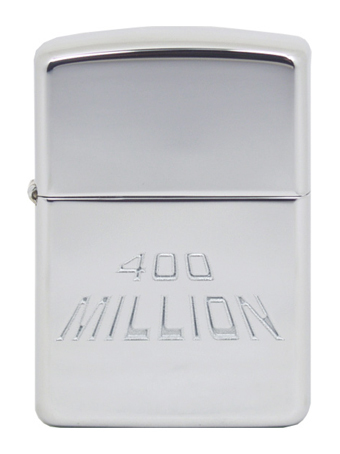 A commemorative logo, designed for the single 400 millionth lighter only, will be dimensionally deep carved, and the date and time of production will be engraved on the case. 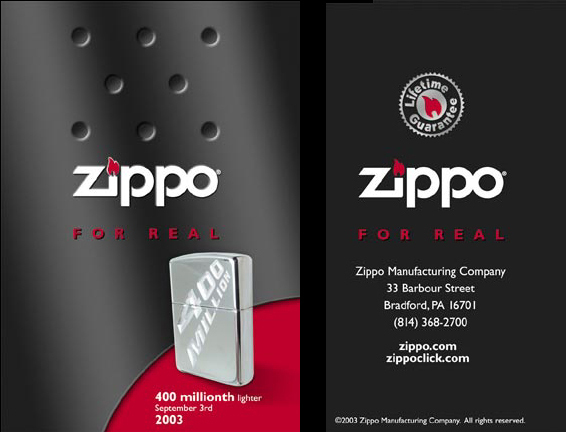 State and local dignitaries joined Zippo owners and senior employees for the celebration. 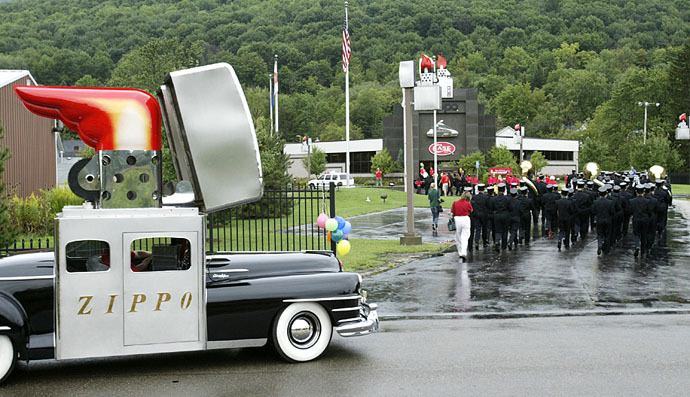 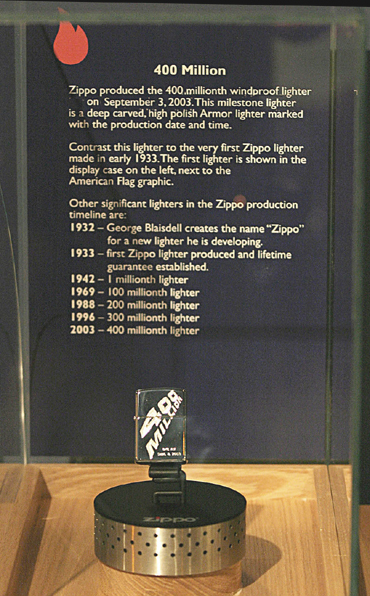 An entourage transported the lighter to the Zippo/Case Visitors Center, where it is being displayed in the museum. 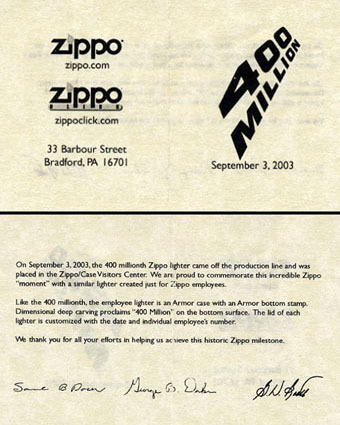 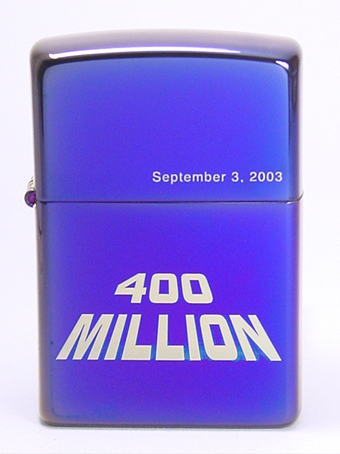 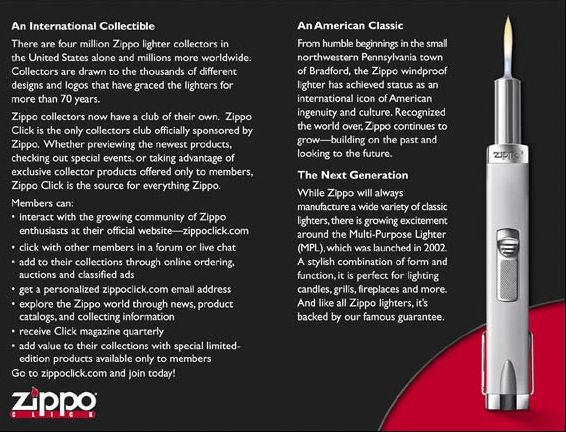 Although it took 10 years to make the first million lighters, and 37 years to hit the 100 million mark, it has been only seven years since the 300 millionth Zippo lighter was produced on April 15, 1996.